In the battle against cancer, there are many conflicting theories. But one thing you’ll very seldom hear is that conventional treatments like radiation and chemotherapy are good for you. On the contrary, many cancer survivors swear off using such treatments ever again. So, when research comes out that substantiates their feelings and indicates such treatments may actually be doing more harm than good, it signals a possible shift in conventional thinking. One such piece of research has found that blueberries can somewhat negate the adverse effects of irradiation while inducing cancer cell death. One such study, published in the journal eCAM, offers two promising findings. One of those findings is that a component of blueberries can actually suppress “adverse changes associated with irradiation.” The other finding: that radiation treatment leads to the “enrichment” of hepatoma (liver cancer) stem cells. Yes, radiation makes these cancer cells stronger and more plentiful. While conventional cancer treatments would have you think that blasting every cancer-related cell in the body with radiation and toxins will eventually rid you of the disease, this isn’t the only theory. For centuries, scientists have observed a certain type of cancer cell that resemble embryonic tissue. These cells, known as cancer stem cells, are believed to produce the various cancer cells throughout the body. They are, in essence, the brain behind cancer proliferation. This theory is known as the embryonal rest theory of cancer (ERTC) and conventional treatments don’t ascribe to it. Conventional cancer treatments target tumor cells; they attempt to eradicate everything within the tumor. But, research has shown that although these treatments may kill off the smaller cancerous tumor cells, they actually enrich the cancer stem cells. What this means for a cancer patient is a possible reemergence of cancer somewhere else in the body at a later date. Such an occurrence, according to the thinking of conventional medicine, is totally unrelated to the original cancer. It is written off as being linked and therefore any connection to the conventional treatments is disregarded. This latest study, however, indicates radiation does, in fact, enrich cancer stem cells, in alignment with the ERTC/Cancer Stem Cell explanation. But more than that, the study indicates a natural substance found in blueberries can cause programmed cell death (apoptosis), even killing the cancer stem cells within various cancer types. 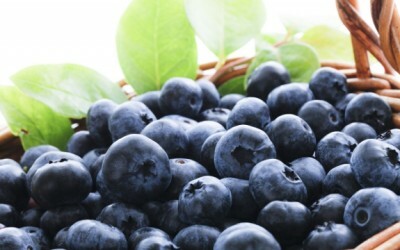 While the authors of the study, true to form with conventional science, conclude by saying radiation treatment should be supplemented with the beneficial blueberry compound, we see their work as further evidence that radiation may not be the answer to cancer at all and that further research money needs to be poured into those studies looking at natural and wholly beneficial remedies. The health benefits of blueberries shouldn’t be overlooked. Antioxidants work, period. Keeping the body full alkaline is a prime objective. Inflammatory diseases,which are most of them, simply cannot live in an alkaline environment. Also, I agree with Mary. The ideas here are very good, but the writing is very poor and needs a good editor. I also agree with her that there is a lot of misinformation. Although, all radiation treatments and chemo do is to hurry the demise of the patient. I consider them to be barbaric treatments, pushed on people because they are expensive and provide profits for the cancer industry. Yes, our medical community is and has become just another profit greedy big biz. Why would we want to "blast cancer radiation treatment?" We want it to work. You need a good headline writer and a good editor. I've tried emailing you, and it doesn't work. This newsletter is loaded with good ideas but poor writing and misleading so-called information.